Solid Green offers a range of services and products designed to improve the performance of homes, and to make the certification of residential projects easy and efficient. The EDGE rating tool has ushered in a new age of green residential developments, giving access to preferential finance and green loans. In response to increasing demand for accreditation on green residential projects (see accreditation calculator), seven of Solid Green’s staff members have qualified as EDGE Auditors and and six as EDGE Experts. 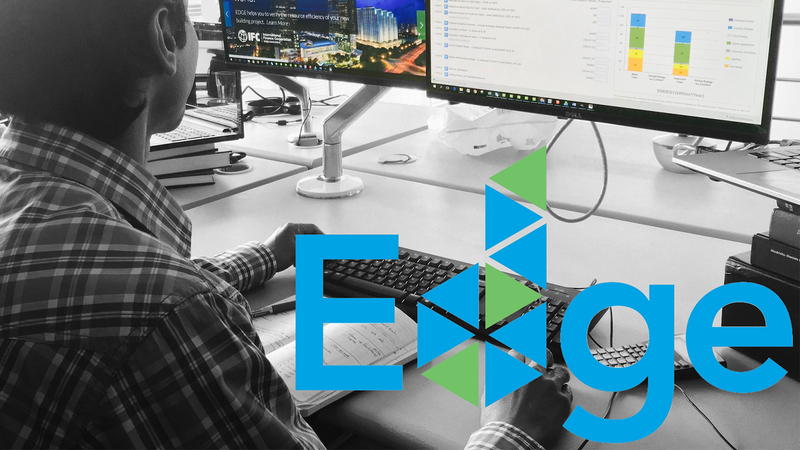 EDGE Experts encourage the construction sector to design and build green by serving as trusted and experienced advisors. EDGE Experts are able to: provide clients and professional teams with a greater understanding of bioclimatic design and green technologies through their skills, insights and thorough understanding of the EDGE software; provide a cost-benefit analysis of green concepts, systems and solutions that best match the client’s aspirations; and assist the client in imagining and realising an entirely green portfolio. Energy modelling has been shown to be one of the best-value tools in saving energy. Solid Green has now developed a solution that uses bespoke software and automation to provide architects with answers to all the most common questions on any residential project, to provide a solution that is energy efficient and thermally comfortable. Results are quantified and presented for every room in the house, and the associated cost of heating and cooling is anticipated to give clients real metrics by which to make decisions. In this way, the cost of Energy Efficiency Simulation is radically reduced, while maintaining the quality of predictive information to the client. Solid XA was designed to allow specifiers to quickly and easily create and manage residential projects for SANS10400 XA Rational Assessment. The app is used to: input details for walls, glazing, roofs and floors; upload building plans; and enter client’s invoicing details. Through this easy-to-use system, multiple projects can be managed, and materials profiles can be saved for reuse later. Once all steps have been completed, the assessment is speedily performed by Solid Green. To find out more about our services and products for residential projects, or to see how your residential project will perform before it’s built, reach out to us at hello@solidgreen.co.za.